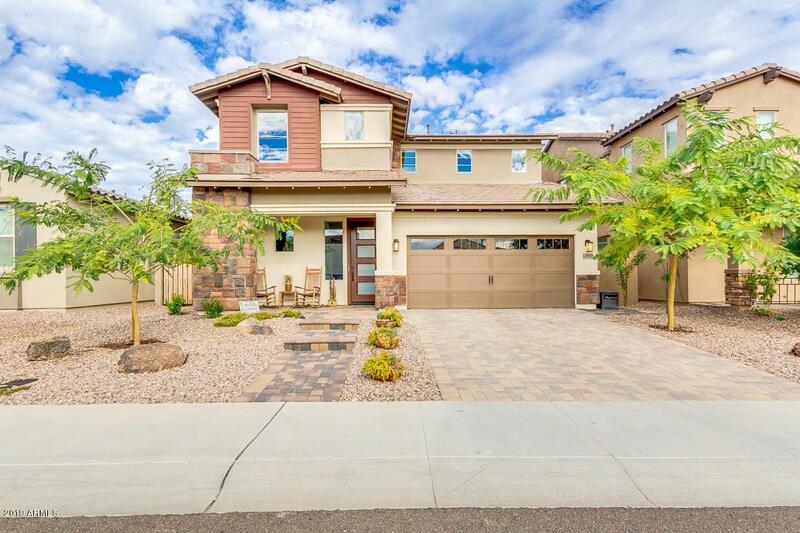 Gorgeous, model perfect 5 bedroom, 4.5 bath home with a pool in Vistancia! 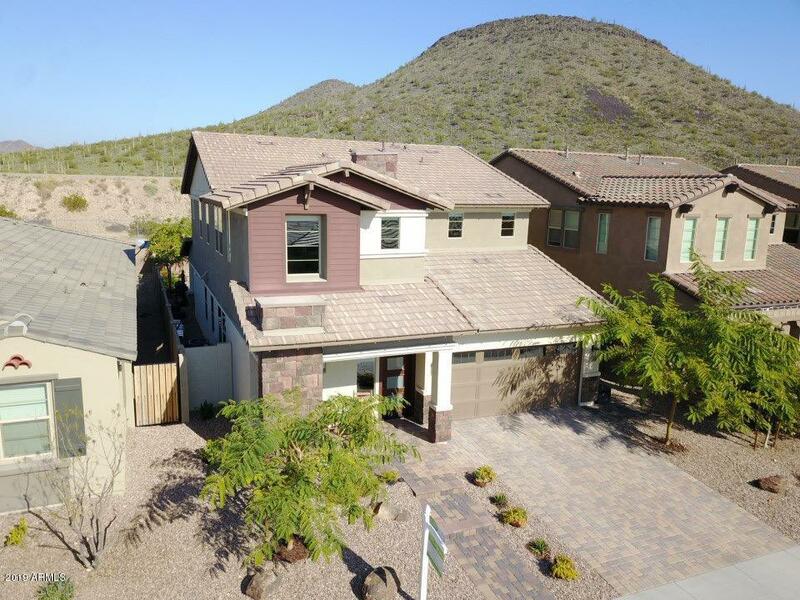 This amazing home offers stunning mountain views, beautiful vinyl plank flooring in all all the high traffic areas, full bedroom with bath downstairs with separate exit to patio/pool area, ceiling fans throughout, and spacious loft. 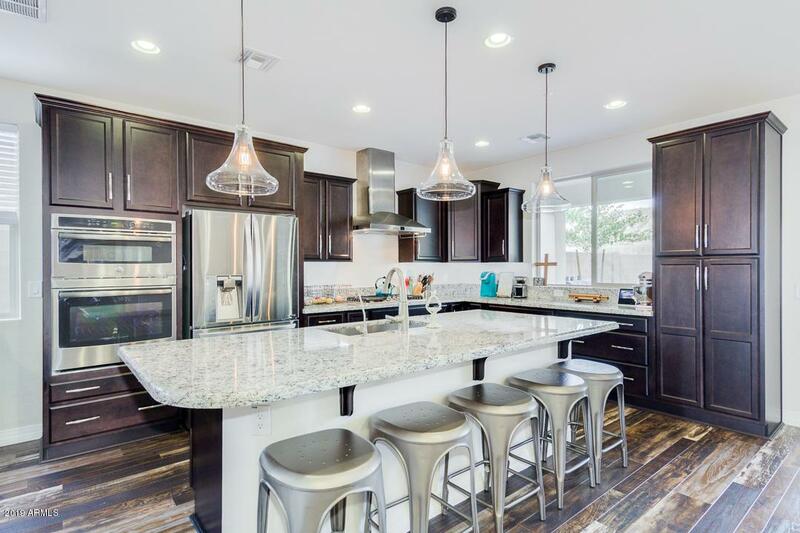 Gourmet kitchen is the focal point and complete with granite counters, island w/breakfast bar, stainless appliances, 5 burner gas cooktop, and built in microwave. Master bedroom upstairs features mountain views, a designer bath with with dual sinks, HUGE shower, and walk in closet. 2 bedrooms upstairs have access to a jack and jill bath and the other secondary bedroom has a full bathroom ensuite. 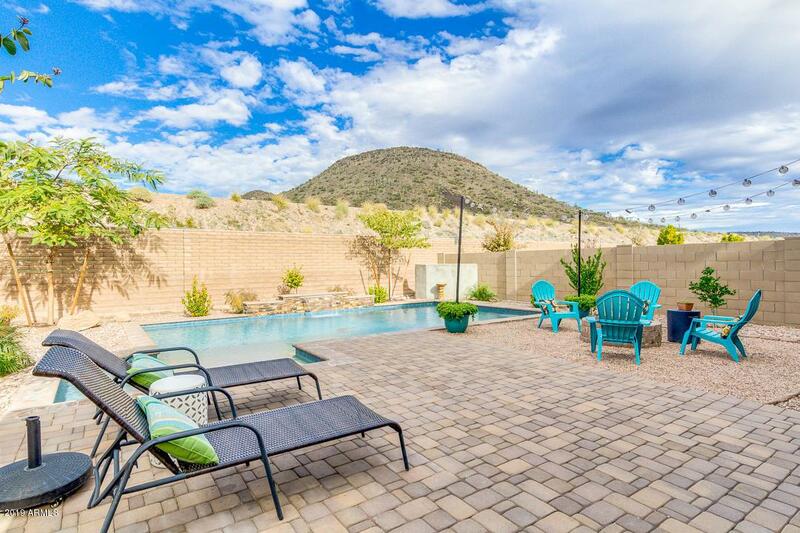 Spectacular private backyard with custom pavers, firepit, and sparkling pool.